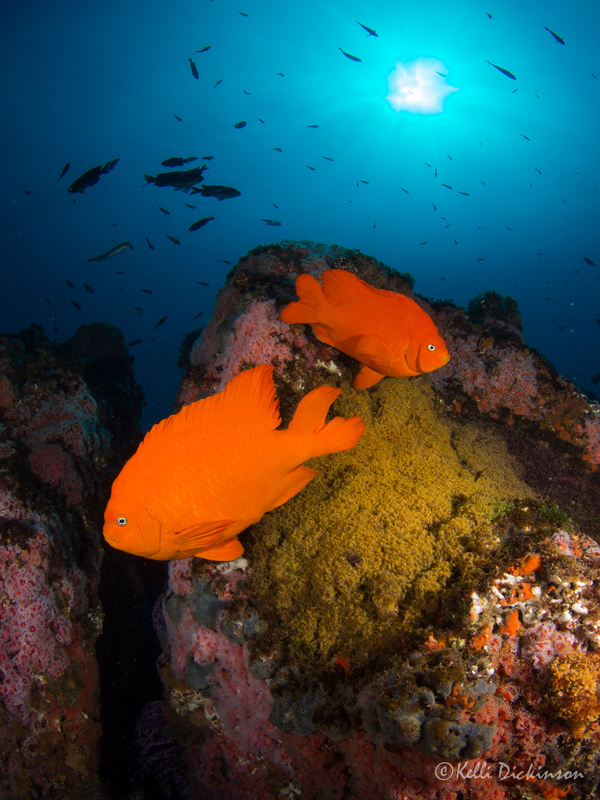 A Garibaldi protecting the nest of eggs as another passes in front. Moments later the passerby was angrily chased away. One of my lifelong dreams has been reached, and it was fabulous. Swimming with sharks. 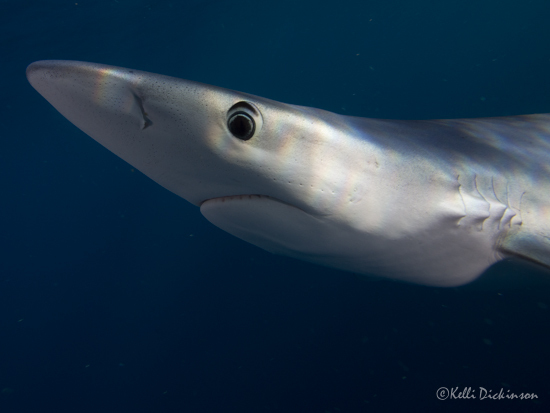 Now it wasn’t Great Whites, or anything scary, but beautiful blue sharks. 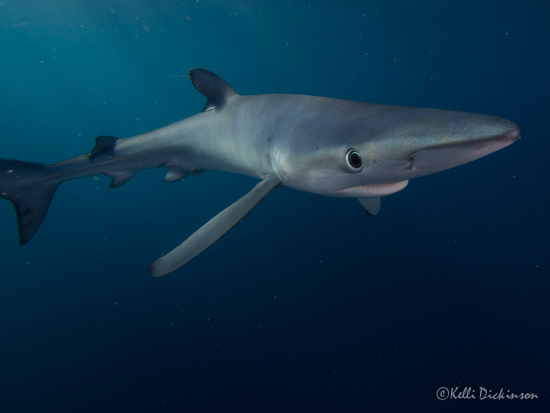 These animals are long, lean and graceful in the water with a temperment akin to a puppy. 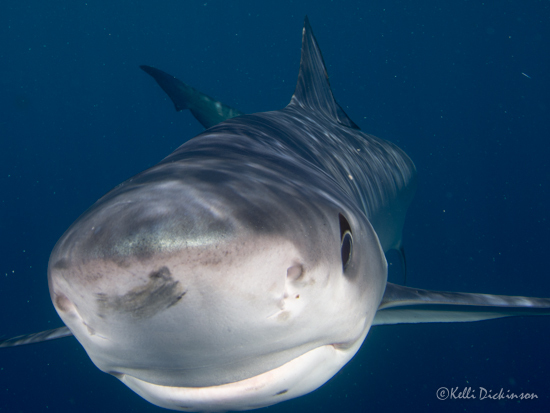 Curious, bright eyed and constantly moving, exploring and checking out each swimmer the experience of being in the water with one was incredible. 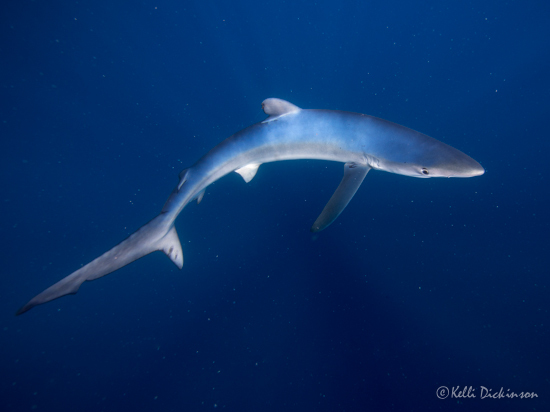 We had two different blues, one about 9ft and another closer to 6ft, both stunning to encounter. 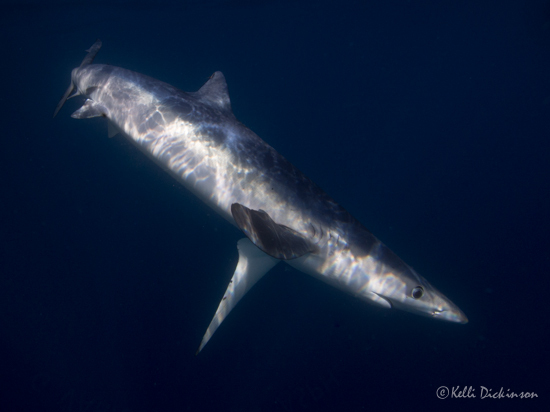 In addition to these sleek swimmers was a rare sighting of a Salmon Shark, one that looks very similar to a young white, though with a larger rounded dorsal fin and differently shaped snout. The Salmon didn’t linger though, these sharks are not a curious as the blues and buggered out pretty quickly when people or the other shark showed up. However, it was still awesome to see them from the boat. 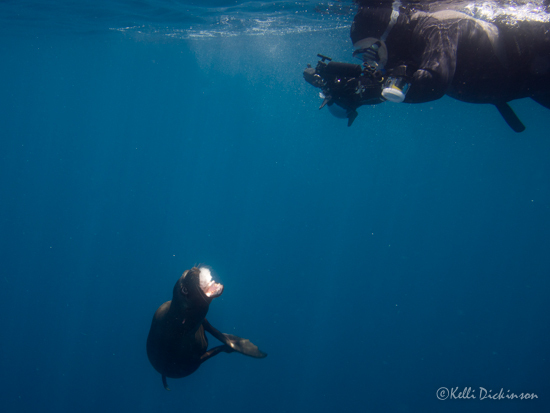 Before the sharks showed up we had a friendly sea lion hang out at the boat, this was great as he provided some great opportunities to test and fine tune the camera settings for the sharks! 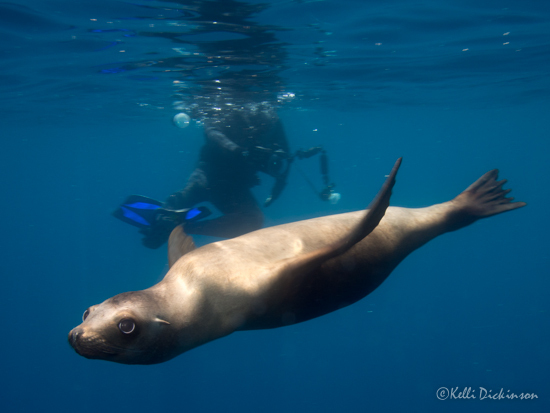 Luckily, after taking some test shots and enjoying the acrobatic antics of the sea lion, we didn’t have to wait long. About an hour and a half after getting out the Capt. let us know that lunch was ready. 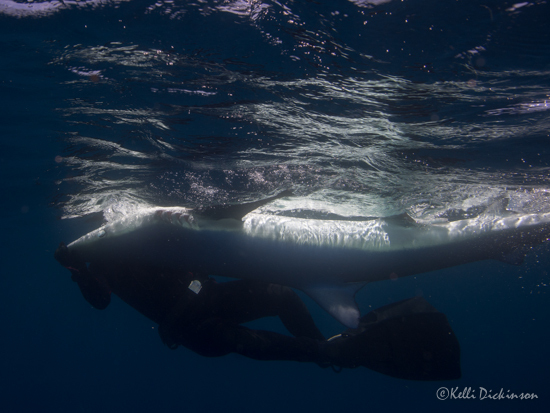 So of course.. that meant it was time for the sharks to show!! Jeremy the “handler” got in the water first, to help lure in the shark so that it will relax and stick around. This also is for safety so he can gauge the sharks temperament. Once given the OK, it was go time! One part of the day for the folks working on the boat was working with the shark. Below Jeremy uses gentle, knowledgeable touch to turn over the shark. This inverted position overloads their senses, putting them in a tonic like state. When done correctly, it looks really cool, and the sharks gets a chill overload. The day was incredible as I mentioned above. A day, I’ll always remember, and a trip I will gladly sign up for again! !